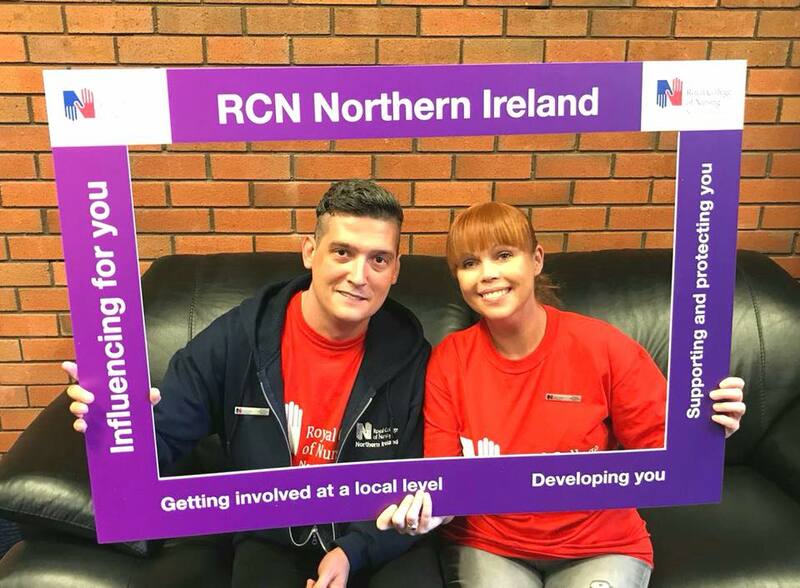 Our very own Lynette and Ciaran from Park Manor are Student Information Officers for RCN Northern Ireland. The Royal College of Nursing Northern Ireland represents nurses, health care assistants and nursing students throughout Northern Ireland.. They spent the day at The Open University in Northern Ireland’s Student Induction Day recruiting members for the RCN and sharing their very own experiences of being students. Lynette and Ciaran are so passionate about what they do and how they got to where they are now so it was a pleasure for them to share this with the students. Lynette even gave a special talk on her experience of being a student in the independent sector and who knows, she could have been preaching to some future Macklin Care Homes employees! A huge congratulations to Lynette and Ciaran for taking part. If you are seeking a new career in the independent sector then click here to view our current vacancies.